Barefoot in the Park, by Neil Simon was a nominee in 1964 for a Tony Award for Best Play. Ever since there was a play there was a curtain call. It’s the opportunity for the audience to say congratulations and for the actors to revel in the applause. The line-up is traditional. First the minor characters, followed by supporting players, and finally the leads. What many audience members might not realize (it’s what all good directors know all too well) the leading actors, no matter how talented, are only as good as the ensemble that supports them. 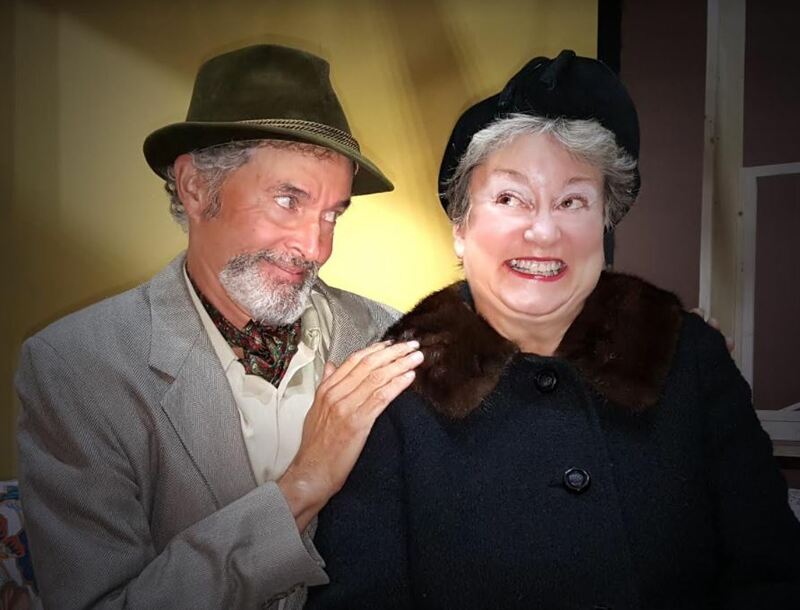 John Pitman, Northern Neck resident since childhood and veteran performer, shines brightly in a supporting role in Barefoot in the Park, the current offering by The Westmoreland Players, Callao. As Victor Velasco, the eccentric bohemian neighbor, this versatile actor takes on a European accent and a charismatic nature. He manages to sweep the bride’s unsuspecting mother off her feet and charm us all in the bargain. Like most kids, John managed to bump into opportunities to play at performing. At Wicomico Elementary, he found himself acting the part of Franz Gruber, the 19th century composer of “Silent Night.” As a sixth grader, he sported a bicycle built for two singing “Daisy, Daisy, give me your answer, do.” Northumberland Junior High drama club gave him a go-round with a darker role in a dramatization of Poe’s The Tell Tale Heart. The trials of high school, life’s adventures, marriage, children and, of course, work, all led John in other directions far from the theatre. A guidance counselor, who shall remain nameless, had good intentions when she steered John away from the notion of pursuing a career as an actor. She was sure to tell him of the woes of the profession and the abundance of unemployed actors. But decades later, the bug bit John once again and he unexpectedly found himself auditioning at the Lancaster Players. Portraying a mentally challenged man in the play Straight Up, John was reminded of the challenge and the pleasure of taking on the demands of a role. Ranch hand Slim in Of Mice and Men, the gentleman caller in The Glass Menagerie, and the wisecracking fight manager in Heaven Can Wait are but a few of his favorite roles. All are supporting characters yet essential to the action. There’d be no play without them (and the dedicated actors who portray them). A horticulture major, John is currently the property manager for Gascony Plantation. His days are long and physically demanding. Yet he continues to opt for show after show, head to nightly rehearsals after work, grab a bite to eat in the car, and hang out in some other world peopled by inhabitants he’s just met. Give it six to eight weeks and John Pitman, aka Victor Velasco, will know them like the back of his hand. The Westmoreland Players open its bang-up 2017-18 season on Saturday, November 4, 2017, with Barefoot in the Park, one of comic genius Neil Simon’s early major hits. Director Dr. Tommy Neuman takes charge of a talented cast and brings the inherent comic nature of clueless newlyweds to the spotlight. Sean & Christina Thompson play the newlyweds, Linda Stough the ditsy mother-in-law, while Mary Leslie and Debbie Evans round out the cast. It’s sure to be a great night out filled with laughs and a few insights on how to get from the honeymoon to that golden anniversary.